In 2012, Penn State Extension designed the Retail Farm Market School, a course targeting retail farm market and farmers’ market employees. 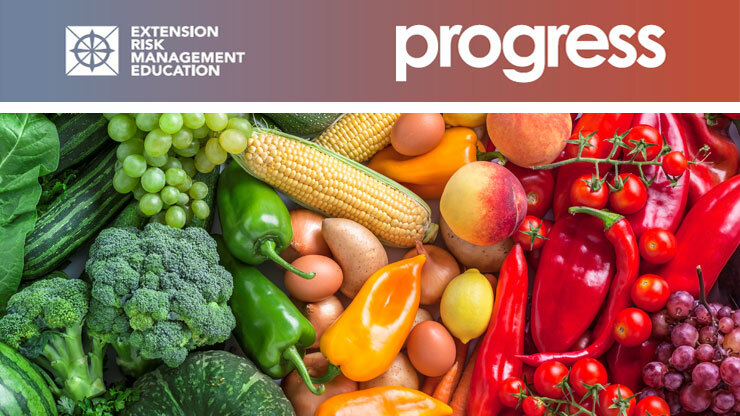 The program reached educators from PA, MD, NJ, NY, and OH, and producers in PA, MD, DE, VA, WV, and Washington, DC, providing basic knowledge in the science of produce and the art of produce marketing. Participants included both new and experienced direct-to-consumer farm marketers, agricultural professionals and produce retailing professionals. This day-long session incorporated several education delivery methods including professionally produced video segments, take-home text, post-harvest handling references, hands-on activities, and an optional “certification quiz”. The project also included a train-the-trainer component, in order to broaden the base of educators comfortable with and capable of delivering the School locally. In addition to the printed materials, five brief videos were developed and are available online for use in local program delivery at no charge. As a result of this project, 267 producers and farm market employees received training on produce science, produce handling and merchandising, customer service, and industry standards for facility sanitation. At the end of the workshops, participants completed a survey of open-ended questions to confirm they had learned new information. Additional post-training data was collected through an innovative approach. Participants received an optional 66-question “review” to complete and return within two weeks. As an added incentive, by scoring 80% or higher, they would also earn a certificate of completion for the training. One hundred sixty-seven participants received the certificate – many of whom proudly display it at their farm markets to demonstrate business professionalism and to increase consumer confidence.